Oh dear. 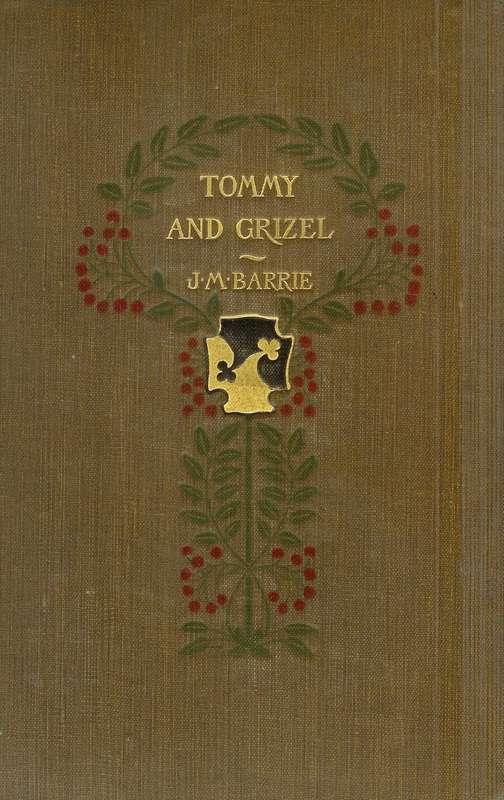 If there is one book I recommend you not read it is Tommy and Grizel by J.M. Barrie. Barrie is hit and miss at the best of times so I did not have had high expectations going in but I still didn’t expect something this dull and repetitious. If I hadn’t been reading it for my Century of Books (I was really eager to check 1900 off), I would have abandoned it after the first hundred pages. The plot was lost for chapters. The characters no longer did anything, and then went and did something else: you were told instead how they did it. You were not allowed to make up your own mind about them: you had to listen to the mind of T. Sandys; he described and he analysed; the road he had tried to clear through the thicket was impassable for chips. T. Sandys finally makes his mark as the author of the extremely priggish and extremely popular Letters to a Young Man About to be Married, in which he waxes poetic on the nobility of women and the responsibility of man. So far, so good. The narrator was still making enough fun of Tommy to keep me interested. But then Tommy returns to his home town in Scotland and is reunited with Grizel, his childhood love with as tragic a background as a sentimentalist could wish, and the rest of the book is a tedious and wandering exercise in descriptive writing. I could not bear it. The narrator doesn’t want us to like Tommy and, trust me, I was at no time tempted to like him. Or Grizel. Or, really, anyone in the entire book (except maybe the narrator and even he earned my wrath by going on and on and on). Oh dear oh dear! One to avoid, definitely (but lovely cover, so… swings and roundabouts.) I’ve not read much Barrie at all – a handful of plays, and of course Peter Pan – but I’ve always had a suspicion he might not be as wonderful as AAM thought him. My 1900 book is on the go at the mo, coincidentally, and is wonderfully funny – Three Men on the Bummell. Yes, that cover is lovely. Sadly, I was reading the ebook edition, though it was probably for the best as I would have felt the need to throw a physical book across the room at points and that is never good for the binding. I was considering rereading The Admirable Crichton for 1902 to see if it was better than I remembered but honestly I think I may have exhausted my patience with Barrie for now. 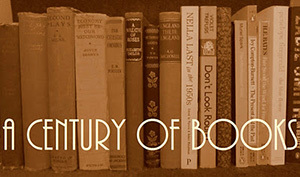 Glad you are enjoying your 1900 book!